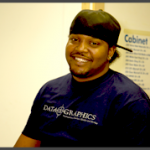 Speak to a Sales Engineer | Data Graphics Inc. 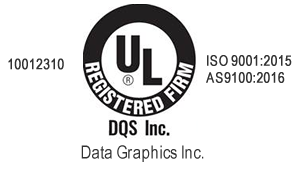 Speak to a Sales Engineer | Data Graphics Inc.
Our experienced Data Graphics Sales Engineers are standing by to discuss your printing needs. From military data plates to safety labels, we’ve seen and done it all. Use the short form to get started using the industrial printing company that makes your job easier. As a supplier to high-tech industries, we make your security and privacy our top priority. We will never sell, trade or share your personal information. Get Expert Printing Advice from a Sales Engineer! Find out about the best materials for your needs. Get creative solutions that yield better results. See how our solutions can save you time and hassle. Keep up with the latest industry regulation changes.